The importance of the properly chosen Keyword is essential. In order to choose keyword for our article we can use one of the keyword planners. One of them is the tool coming directly from google and it is for free. 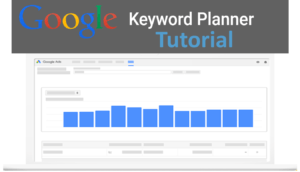 Here you find the Tutorial to Google Keyword Planner. Previously it was called Google Keyword Tool. 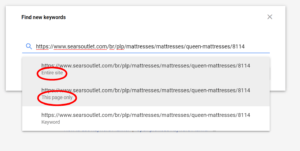 Please note that the tool is directly connected to the Google Ads (formerly known as Google Adwords). Since we are interested in organic traffic only (meaning we will not run any paid campaigns) we don’t have to go through all features. 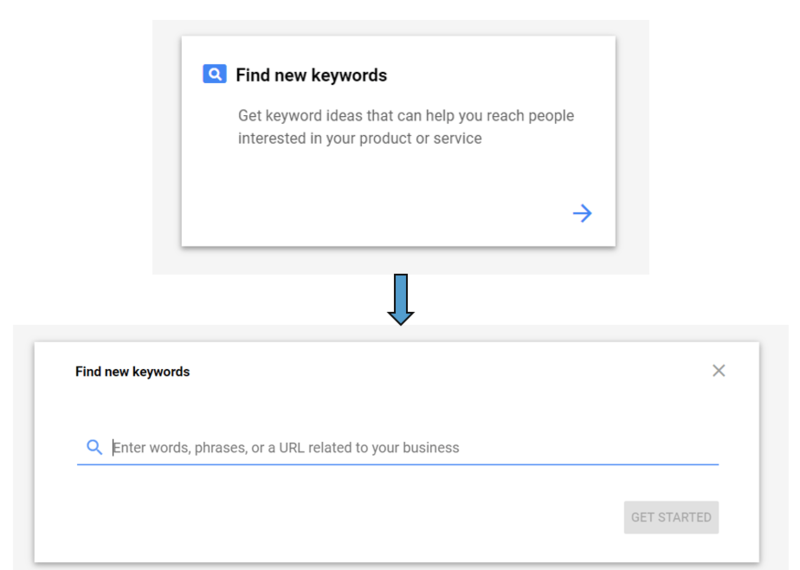 When you want to access the Google Keyword Planner, first thing you need to do is to create an account inside Google Ads. If you don’t have one, just click on the link and follow the simple process. You will be asked to fill up form. You do not have do that (since we are not interested in running paid ads). Just hit the “Skip the guided setup“. You then fill out your email, country, time zone etc. 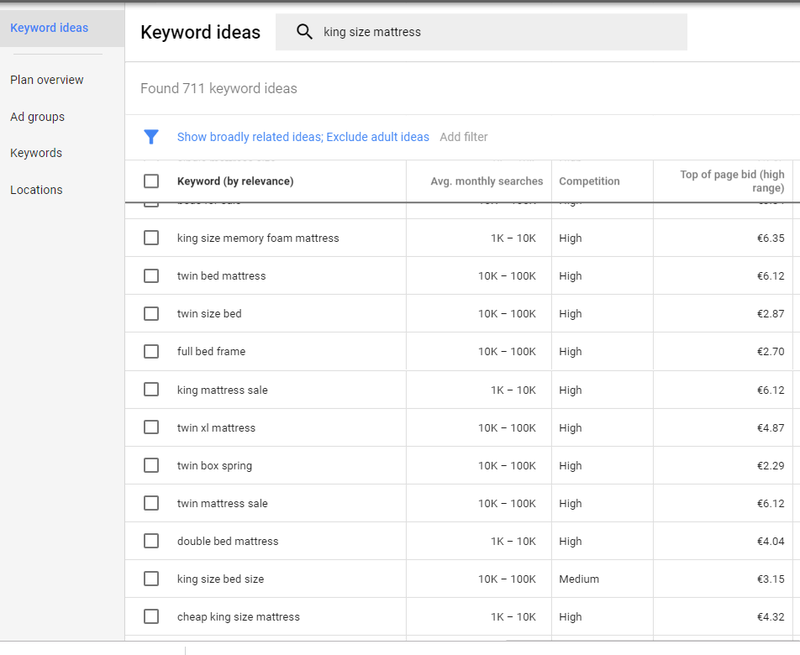 Once you inside the Google Ads, hover over the tools icon and on the left hand side under planning go to Keyword Planner. You have now two tools available. Find new Keywords. Here you get ideas for new keywords. You enter your keyword and based on that you get a list of similar keywords, which may help you to get people to your site. 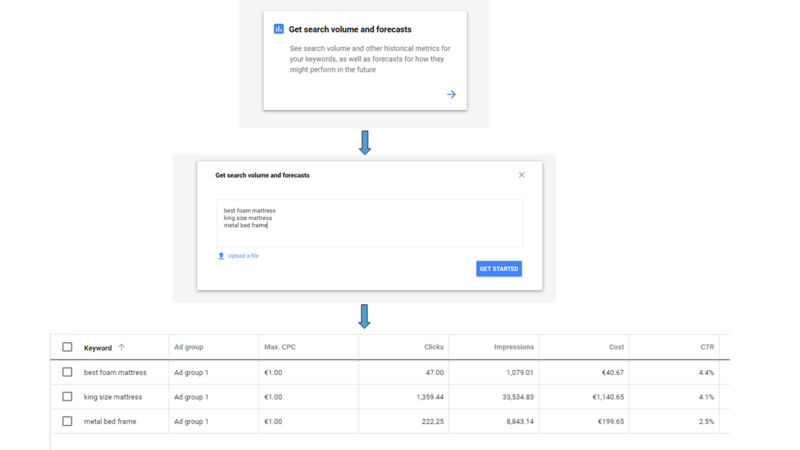 Get Search volume an forecast. After entering your keyword you see useful data regarding only this specific keyword. 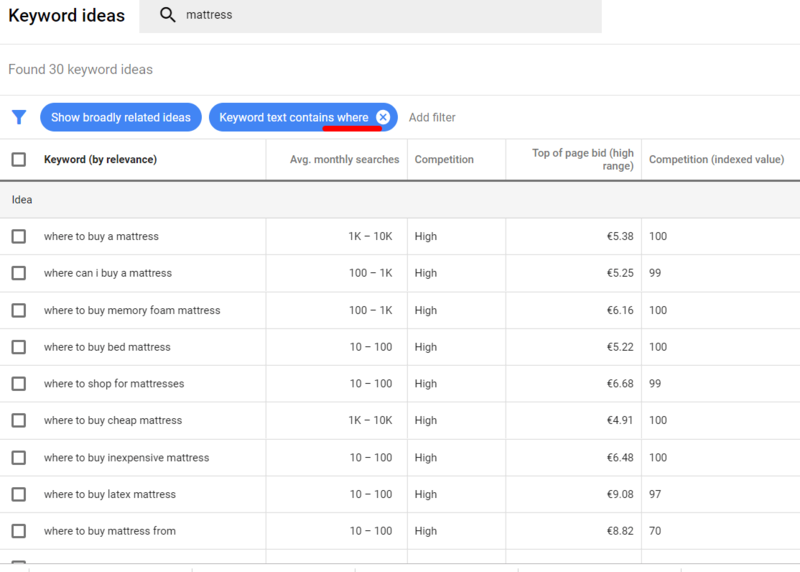 So if you have a certain keyword you want to use in your article you can go to option #1 to check whether you find better keywords (like a brainstorming). You never know, right. Then pick up those you like the most and run them through the option #2 to see what metrics they show you. So lets take a look a little bit deeper in both tools. By Keywords, it is not only meant single word(s). As suggested you are free to use phrases, or combination of more keywords/phrases. Competition – Number of advertisers making offer on that specific keyword. Top of Page bid – The number of what advertisers are willing to pay for a keyword in order to get to the top position. Based on historical data (in regards of paid ad). Higher price means more difficult to get to the top of the page. Here is where you get the important data regarding your specific word. Or bunch of keywords you can upload from a file you already have saved. These data are very useful for somebody who runs advertisers, using paid Ads. As we said, that is not us. So we better take a look at the Historical metrics, where we get to see the average search volumes for our list. Oh, again this range. Does not help us much. No worries. Below we describing the workaround, where you get to see the exact search volumes. Finding the best keyword is not an exact science. You might need a bit of practice to get that right feeling for a best keyword. But do not worry. Lets say you want to write a post about mattress. Or you are in affiliate marketing and you do reviews about mattresses. You want to know how many people searches for a chosen keyword. The thing is, not to start with too broad word like just ” mattress “. You want to narrow it down a bit. Your keyword might be “king size mattress”. Here is the list of suggested keywords with some factors. How to get the specific search volume for our keyword? 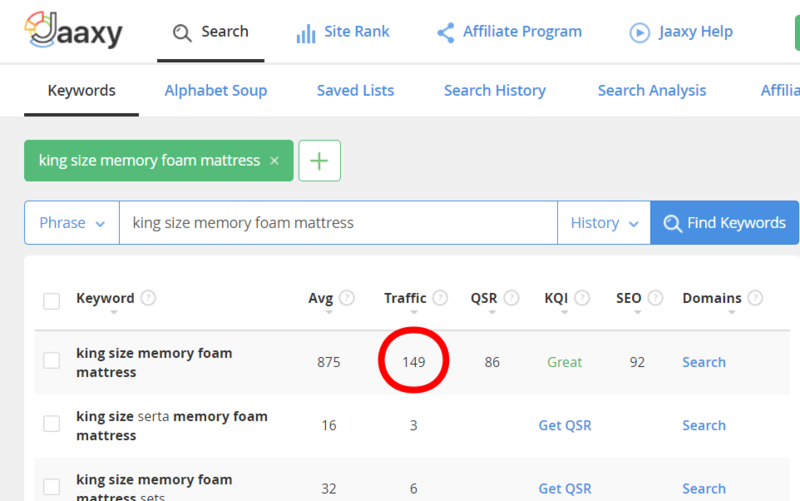 Lets pick one of the keyword we want to check – “king size memory foam mattress” That looks like a specific keyword to me. There are Keyword Research Tools, where you see the exact search volume right away. 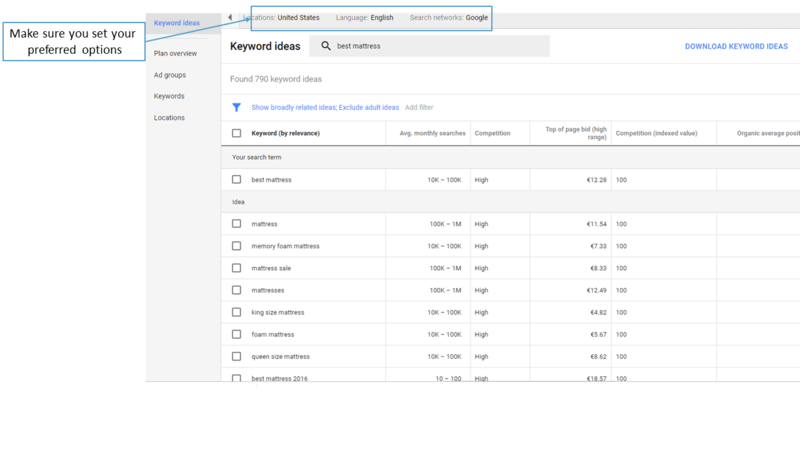 It is not the case at GKP (Google Keyword Planner), and therefore many SEOs stopped to use this tool. Lets see how many click you might get once you are at 1st page. Because this is one of the number we are interested in – we want to know the estimated number of visitors at our site, because of the specific keyword. The way how to find out the data is pretty much the same like shown above paragraph (Real Example – Choosing the Keyword). Well here is a little tricky thing –>> The search result we got above is limited by the theoretical budged (it is always related to the Google Ads so it deals with theoretical cost you willing to pay for specific keyword). That means that if you do not want to spend more than €0,84 a day per that keyword, your site will be visible only 390 times and will get possible 17 clicks. But we are learning how to get our site on 1st page. So Lets say that we have already an authoritative site and we rank in #1 top page in google, organically. How many clicks would we get? The maximum possible number, right; since we are #1 at search results. So how to simulate such situation? We can do that by little drop down menu and set the clicks at maximum possible value. Please make sure that you got to Full Screen mode. When we compare the exact keyword with our favorite keyword research tool Jaaxy, we see that the results are pretty close. The thing is that whereas GKP shows us forecast data for next 30 days, Jaaxy shows us results based historical data. You probably have noticed the option of putting the URL in the “Find new Keywords” window at the very beginning, haven’t you? Go google your KW, and see competitor site. Running them through the GKP you get thousands of KW ideas. You can then play around with the filters like for example to exclude some keywords text. You have more options while entering the URL into the search bar of “Find new keywords” bar. The results will be for entire site, or for the specific page only. You can enter only one site at a time. Have you ever felt like you run out of the ideas for content writing? In such cases a brainstorming is very helpful tool. That particular tool can be found as part of Jaaxy or also with a little trick you can get ideas out of GKP. By this time I am sure you are already familiar with the tool, so it’ll be nothing new for you. We are going to use the Filter inside the Keyword Ideas. This time we focus on questions. What possible questions the potential visitors might ask. For you it is enough to remember the 5x W rule. You can also choose different keyword and combine it with all fives W questions. Then you will have the idea about the subject to write about. Lets wrap it up for now. learn about keywords and bidding and which position to be and so on. Along the way, I found out, that I have to be more patient, and most importantly I need to learn more, before I run out of my budget. Great asset along the learning process was part about an organic traffic. Traffic for free. The key aspect about the organic traffic is the keyword and mainly, keyword research tool. Google Keyword Tool is certainly good one and most important is free. 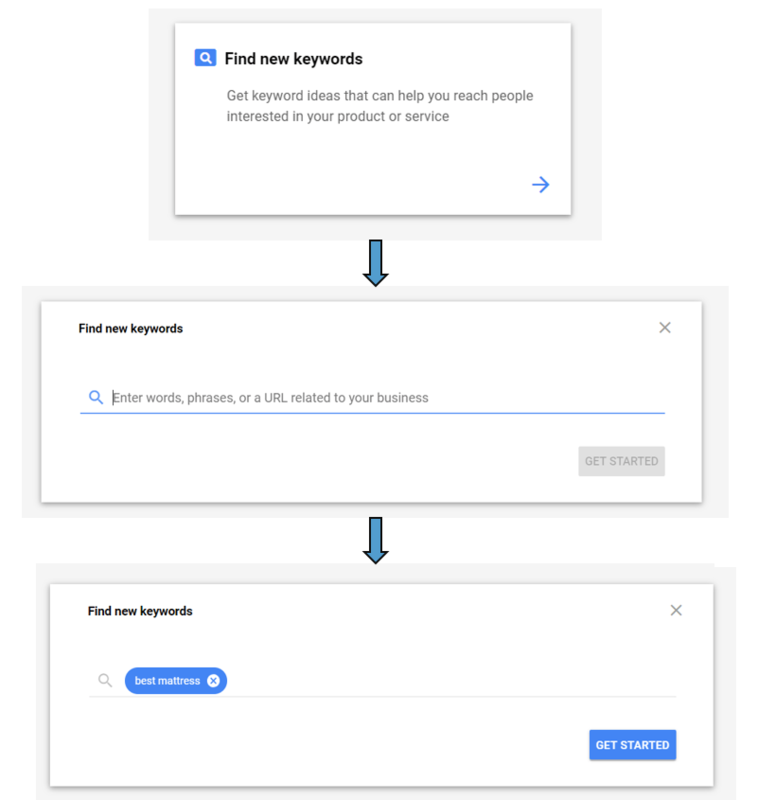 How about your experience with Google Keyword Tool? Let me know in section below. This is a great read. Up to this point, I have exclusively used Jaaxy to find my keywords. I have been having difficulty finding keywords that make me want to write a post. I will bookmark this page so I can remember to use Google Ads. It looks like you get the same hit results in both GKR and Jaaxy, but what is your opinion of the keywords generated? Which one generates a better list? I am looking to improve my content and any input on GKR would be greatly appreciated. It is always good to have different opinion. In GKP you can check historical data and also forecast. I am not sure how accurate that might be. But it is at least good as estimation. So far I have only used Jaaxy keyword tool for all the keyword research I do for my website. 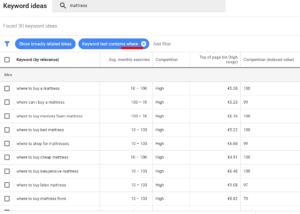 After reading this article it looks like Google Keyword Planner is a bit more better and convenient than the Jaaxy Keyword tool. The great thing is that Google Keyword Planner is totally free and I’m definitely going to utilize it for my upcoming contents. Yes GKP is for free which is great and so I use it as “second opinion” when it comes to keyword research. My #1 is still Jaaxy – I like having everything right at one place. Ha! how cool, I’ve actually been struggling a little bit with keywords for my website to attract more people and stuff, so thanks for this. I like your site also. Can’t wait to see the coming content, I added it to my favorite ones so I can check and get tips from it. Thank you Maria for your feedback.